The all-terrain vehicle market is evolving rapidly with advent of new vehicles across various application sectors ranging from sports utilities to demand for combat purpose in military services. Global All Vehicle Terrain Market revenue was valued at US$ 5.8 billion in 2016 and will register moderate CAGR of 3.5% between 2017 and 2027. Increase in demand for ATV will create 1.5x higher market opportunity for industry players. The saturated ATV market industry scenario has changed in last five years owing to technological disruption. Companies in order to enhance their sales revenue, are eyeing to capitalize the developing regions. However, the path to maintain steady growth in developed economies while expanding market footprint in developing regions depends largely on the strategic decisions taken by the company. The ATV market size is driven by various factors including increased consumer spending. This is further supported by driving factors such as high R&D spending to offer customized products based on end-user needs. In the recent few years, ATV market demand has widely fluctuated owing to deepening economic crisis and changing disposable income. Moreover, geopolitical tensions and economic regulations has also led leading player to limit the market expansion between 2014 and 2016. Companies are thereby looking Far East to maximize their potential revenue. New product launch and mergers & acquisitions are key ATV market trends shaping the industry. These trends are expected to push market towards further consolidation and thereby will lower down the hyper competition. Recently, in 2015, Polaris acquired Hammerhead off-road vehicles business to strengthen its market presence. This is in series of acquisition in line with merger of Kolpin Outdoor that took place in 2014. Increasing pressure to deliver stable profit margins could further led to possible mergers and acquisitions during the forecast period. Globally, North America and Western Europe dominated the ATV market size in 2016. However, favorable macro and social factors is creating lucrative opportunity in Asia Pacific region. Europe ATV market share accounted for 45% of global value in 2016. While Western Europe will lose significant market share by 241 basis points, Eastern Europe is expected to gain 1% market share by 2027. Eastern Europe witnessed downward growth trend post 2014 – primarily due to economic sanction on Russia. Asia Pacific is expected to be primarily driven by rising demand for ATV from military and entertainment sectors. Compared to developed regions where penetration rate of ATV is as high as 65%, Asia Pacific has penetration level below 35%. Industry players need to capitalize this large addressable market in order to overcome staggering growth. Rising disposable income, purchasing power parity and increase in defense spending is likely to proliferate the ATV demand in Asia Pacific. China and India will be key market for ATV market players. There has been likely shift in Asia Pacific market dynamics. China, which not only dominated Asia Pacific region in market size but also growth rate, – will lose its position to India in terms of growth rate. China ATV market size was 1.3X higher than India in 2016. China growth rate is expected to decline from 10.7% (2013-17) to 7.8% (2017-27), whereas India will witness steep incline from 6.4% o 9.6%. Various companies are taking interest in setting up their ATV manufacturing and marketing capabilities in India. Recently, in 2017, Scorpion decided to venture into India ATV market scenario. The vehicles will be manufactured by IronScorpion HMV – a joint venture between Preferred Chassis Fabrication Inc. and Sarbloh Motors. In 2015, Suzuki launched ATV for sport utility in India. Also, Polaris is about to extend and strengthen its marketing presence India. The company is expected to open three new distribution centers in addition to its 9 dealership. The global ATV market scenario is highly consolidated in nature with leading players accounting for over 85% of the total market. Some key ATV market players are Honda Motor Company, John Deere, Polaris Industries, Shuopu, Suzuki Corporation, CFmoto, Can-AM, HiSun Motors, Taiwan Golden Bee, Linhai, Yamaha Corporation, and KYMCO. The competition has heightened in last few years –as a result – the companies are emphasizing on product line expansion. For instance, Honda is expected to launch its much awaited side-by-side utility vehicle in 2017.In 2015, Arctic Cat introduced XR ATV that falls in higher cc category (>500cc). Polaris Defense announced to launch high performance MRZR turbo diesel for special operations. The vehicle has its market in U.S. and twenty allied countries. Apart from product level strategy, companies are building strategy on pricing level to sustain the competitive environment. In 2015, Suzuki launched affordable ATV in India with price starting nearly US$ 9 thousand. The move is to capture a greater chunk of mid-class population, -in turn generating high ROI on volume terms. The companies need to be agile and adopt inorganic strategy to sustain and generate higher profit margins for longer terms. To access the detailed All-Terrain Vehicle (ATV) industry TOC and sample research pages, download sample. An in-depth analysis of the All Terrain Vehicle market across regions – North America, Latin America, Western Europe, Central and Eastern Europe, Asia Pacific, Middle East, and Africa. How the All Terrain Vehicle market sales is expected to grow throughout the forecast period. Purchasing of All Terrain Vehicle market research report will give clients access to 120 minutes telephonic access with a research analyst. The duration for access to analysts will be based on the report subscription editions. This section enables ATV industry stakeholders to understand the prevalent market conditions and help them prioritize their investment strategy. Factors that are favorable to ATV market growth is equated with challenges – resulting in proper growth strategy module. Drivers and challenges provide early assessment of current ATV industry trends and keep industry leaders abreast of latest happenings. Industry stakeholders receive detailed analysis of the ATV industry trends. 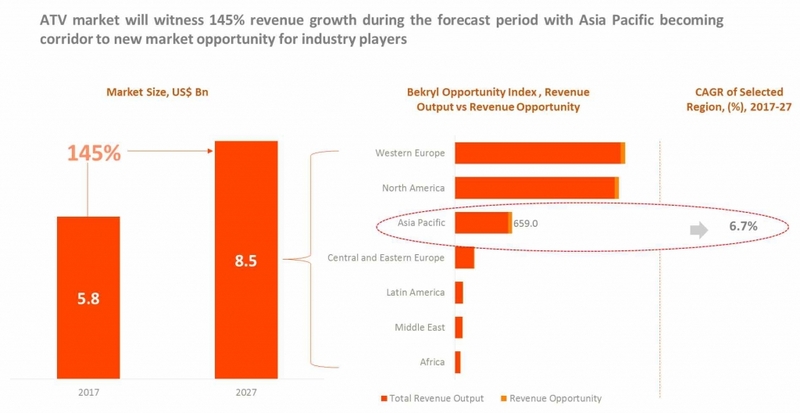 Anticipate key market trends across market segments with Bekryl Market Analysts analysis model. Keep abreast of key strategies of industry leaders and regional ATV industry players. Company profiles allow industry stakeholders to competitor’s strategic decision and understand how these affect their own business. Regional analysis help industry leaders to better understand the dynamics of their current market and determine which regional market their company should target to strengthen their market presence globally. The ATV market report offers industry scenario in 24+ countries. Regional section focus on economic context, regulatory framework, supply demand balance trends and key regional companies engaged in the market. 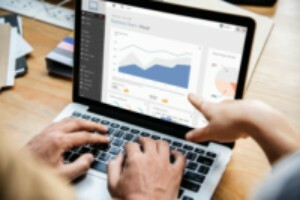 In order to prepare historical data and analyze All Terrain Vehicle market forecast, Bekryl prepare data pertaining to potential end user customers and total demand. Through this, we get to know actual demand for All Terrain Vehicle market globally. The data collection is done through secondary and primary market research and then a constructive model is developed. With the model constructed, the cluttered data collected through different sources is structured with the help of proprietary analytical tools – making us understand the variation happened in the current year compared to historical years. To forecast All Terrain Vehicle industry revenue, Bekryl Market Analysts takes in consideration the demand growth of the segments. Demand for the product is dependent on end-user spending which is a function of many factors: amongst them macroeconomic factors, automotive market spending ratio and models/product variation factors. The forecast methodology requires extensive data analysis across countries. Among many factors, manufacturing and GDP output is considered as the first set of approximation. Bekryl Market Analysts has developed a demand driven model based on GDP across targeted countries. Under this, co-relation is analyzed between product sales, spending ratio, and GDP – resulting in a constant GDP-Product coefficient. Higher the coefficient- greater will be the growth rate. For instance, GDP-Product segment coefficient matrix of 3 denotes All Terrain Vehicle industry growth is nearly 3.5X to 5.5X higher than the relative GDP. However, this is only one such factor taken out of many factors. Over 15 factors have been analyzed and scaled over pointer 10 to decide its growth course.